ARE YOU READY TO STEP UP YOUR GAME IN LIFE ? Sign up to instantly download these extraordinary resources. and will never divulge your private details to anyone else. 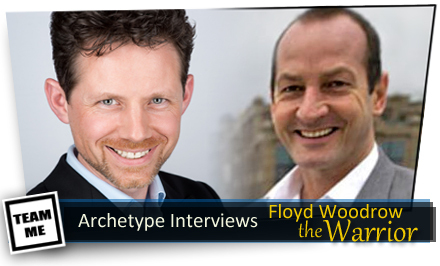 These free resources will introduce you to your innate archetypes and show how they can bring about tangible transformation in your life. These are the methods I use to coach business leaders, entrepreneurs, artists and performers around the globe and they’re now available to you. Discover the array of ground-breaking books, videos, audios, online courses and blog posts as well as my personal and group coaching programs. 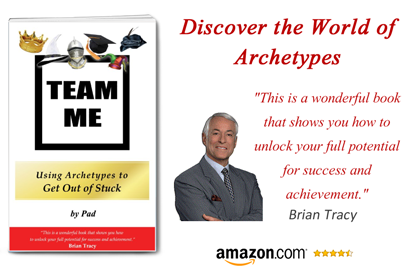 "What Pad has created with Team Me provides a unique gateway to an understanding of the different patterns of personality that we all display at various times on our journey through life. I have no doubt that this simple but effective method will give you a significant edge in your personal and professional performance." "I had the privilege to work with Pad at the London ICF conference. His work is brilliant! 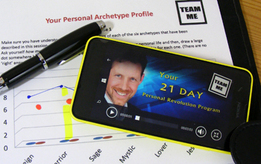 Pad’s use of archetypes in Team Me is both simple and profound. The book gives people access to their higher potential. If you get the book and then have the opportunity to attend a workshop, how you approach your daily challenges in life will forever be better.."
YOUR story can now start to unfold in a much more powerful and positive way. So, sign-up right away to receive the unique bonuses in this introduction pack – resources you can download immediately and can use every day to guide, inform and instruct you as you face the day’s challenges. Then, check out the products here and on Amazon and then connect with me on my social channels (especially see the videos on YouTube), for ongoing conversation with like-minded souls… telling me not what you liked… but what you achieved when you took action. I’d love to be a part of your extraordinary journey – to becoming all that you can be and shaping the world for good as you grow.